iOS allows apps to communicate with one another through URL schemes. The Axe Wallet for iOS implements the axewallet:// scheme, allowing you to call the wallet to complete a transaction denominated in Axe. This page documents the methods available using the URL scheme. sender is both your callback URL and the name of the app that you show to the user. This is to prevent 3rd party apps from phishing. req- can be added before IS to force use of InstantSend for the transaction. If the user doesn’t have InstantSend enabled and doesn’t want to enable it, he will not be offered the option to send as a normal transaction. 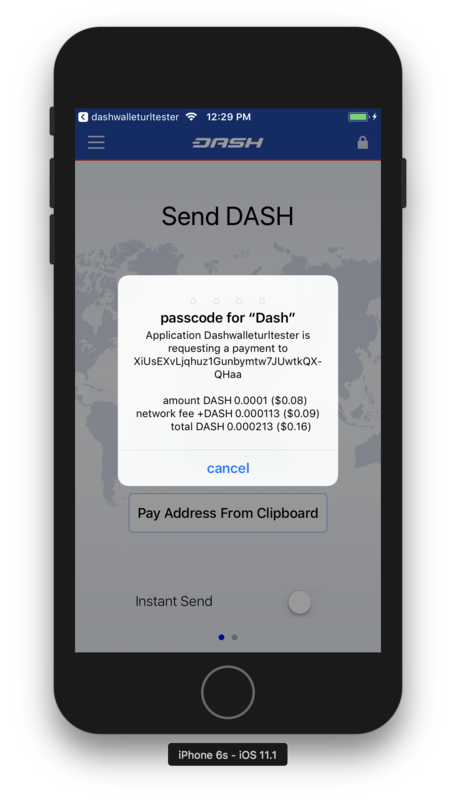 If the user enters the correct passcode, then the transaction is sent and the user is returned to the sender app following the callback URL.